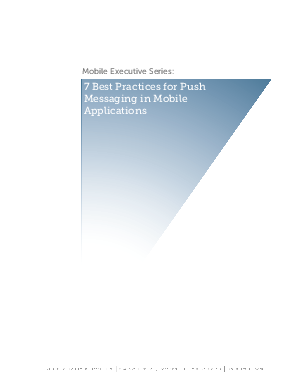 Push messaging is a powerful tool for any organization seeking to build a trusted brand, deepen customer involvement, and enhance user retention. Good Push has enormous potential for enhancing the way we live and for enabling organizations to create strong relationships with constituents. Users will benefit because the more complex our lives become, and the more crowded our devices get with applications, the more we will all need Good Push to intelligently reach out and tap us on the shoulder when something important requires our time and attention.